Complacency could be the greatest danger to Asia’s success over the next two decades, with a “high income trap” threatening advanced economies along with growing fiscal challenges, analysts say. While Japan ranked as the world’s top creditor nation in 2014 with $3 trillion in net assets, more than 70 percent ahead of second-ranked China, Asia’s two biggest economies could struggle to protect their fiscal positions in the medium term. 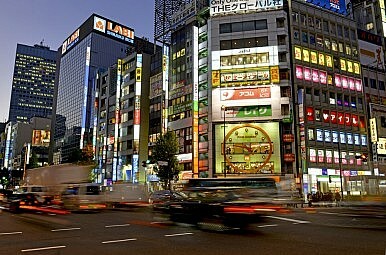 According to accountancy group KPMG’s Grant Wardell-Johnson and Bernard Salt, Japan, China, and South Korea are among Asia’s worst ranked economies in ensuring the “fiscal security” of their tax bases over the period through to 2030, an index which measures a nation’s tax-raising capacity based on factors including demographics and debt. In both China and Japan, the number of workers aged 25 to 64 per 100 consumers aged up to 14 years or over 65, known as the dependency ratio, is expected to slide to 71 by 2030, compared to 100 in India and Indonesia. The world’s second- and third-biggest economies also face the challenge of delivering more government services and support from a shrinking worker base, with such “demographic detriment” nations being hit by declining income and indirect taxes and rising welfare costs. “Many Asian countries have yet to go through a tax simplification process of broadening the tax base and reducing the tax rate…There will be a future tension between needing to reduce corporate tax to remain competitive but without damaging the overall budget position,” the authors said. Singapore stands out among other Asian economies that are also “highly exposed to the international economy, which reduces the level of stability in the tax base,” they added. The KPMG authors pointed to India, Indonesia, the Philippines, and Australia as the likely winners over the period through to 2030, helped by relatively low levels of public debt, the benefits of a “demographic dividend,” and the potential for further gains through increased female participation in the labor market. “Across the developing world it is a matter of getting access to work, of spreading work to all parts of the nation and to both men and women, and of setting in place stable and transparent structures to harvest the taxation revenue needed for the betterment of the lives of all,” Salt wrote in the Australian. While nations such as Malaysia are expected to escape the much feared “middle income trap,” as recently noted by Pacific Money, a new threat to advanced economies may have emerged. Jumping from middle to high incomes is a major challenge, as shown by estimates that only 13 of 101 middle-income economies in 1960 graduated to high-income status by 2008. Yet according to HSBC economist Frederic Neumann, the debate over whether nations such as China, Malaysia, and Thailand can cross the threshold into higher-income territory is missing the growing risk of incomes actually stalling once the land of milk and honey has been reached. “Similar to Brazil and Mexico over past decades, a number of rich economies have recently seen their per capita incomes stall relative to the U.S. This might seem like a nice problem to have…[but] a high income trap is as much a risk as being stuck in middle income,” he wrote in the Nikkei Asian Review. The world’s third-biggest economy, Japan stands out as Neumann’s “poster child” in his analysis, with per capita income having virtually stood still for 20 years following the bursting of an asset bubble. According to Neumann, Japan’s parallels to others in the region are “only too obvious,” with an export-led surge in manufacturing followed by a property boom and subsequent bust, with growing demographic challenges compounded by reform-shy policymakers. “The temptation in Japan, as elsewhere, is to delay the tough choices and rely on monetary and fiscal easing to tide the economy over until better days arrive. This is not always a result of vested [business] interests…The electorate at large may not feel the urgency of required action, preferring to stick with the status quo, even if this becomes unsustainable over time,” he warned. Across the region, Hong Kong, Singapore, South Korea, and Taiwan are also experiencing growing demographic challenges, although Hong Kong and Singapore have been more successful in shifting their economies from a manufacturing focus to services. “What they all have in common with Japan, however, is a sharp buildup in private leverage and a vibrant real estate sector. Here, a slump could expose similar problems to those Japan once faced,” he said. Structural reforms “get harder to identify once countries climb up the income ladder,” he said, citing Singapore as having made the greatest progress in spurring faster productivity growth, for instance through tax breaks on employee training. The message to “Abenomics” and the rest of the region’s policymakers could hardly be clearer.